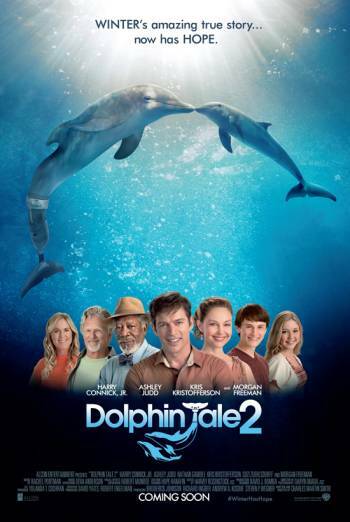 DOLPHIN TALE 2 is a drama sequel about an injured dolphin whose inspiring story has made her the star attraction at a sea life centre. A sick dolphin becomes agitated when its carer tries to help her and slams him with her whole body. The carer is momentarily concussed and struggles in the water, but is quickly rescued and left with only minor injuries. There are scenes in which human characters become upset about the welfare and fates of animals they have cared for and loved. The film also contains very mild bad language ('darned').